This title, first published in 1925, are based on a series of lectures delivered in the University of London. 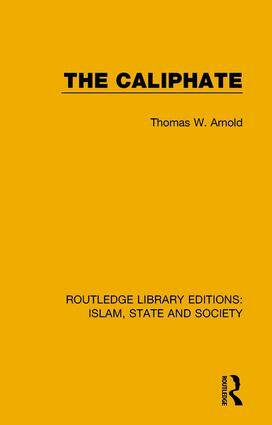 The chapters explore the nature of the caliphate, its origin and history, and the situation and trend of development in the early twentieth century. This title will be of interest to students of Middle Eastern studies, religion and history. The seven volumes in this set, originally published between 1923 and 1987, explore the influence of Islam on law, politics, science, and development in the Muslim world. This set will be of interest to students of both Islamic and Middle Eastern studies.